Dr. Pelto's Blog: What do Whoopie pies and feet have in common? 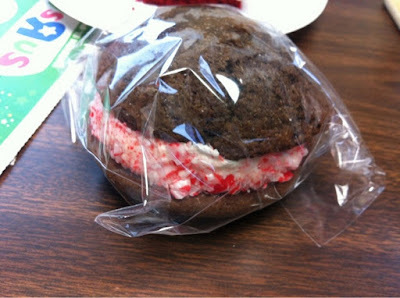 What do Whoopie pies and feet have in common? These are my favorite dessert and they were dropped off by a patient in the office. I wanted to show you what they look like. I am from Minnesota and we never had them there or I was deprived as a child. They are great but not if you are diabetic. Stay away from sweets this season or watch your portions. I started to eat half of this treat but the other half just called my name. These really don't have anything to do with diabetes except a food to avoid.